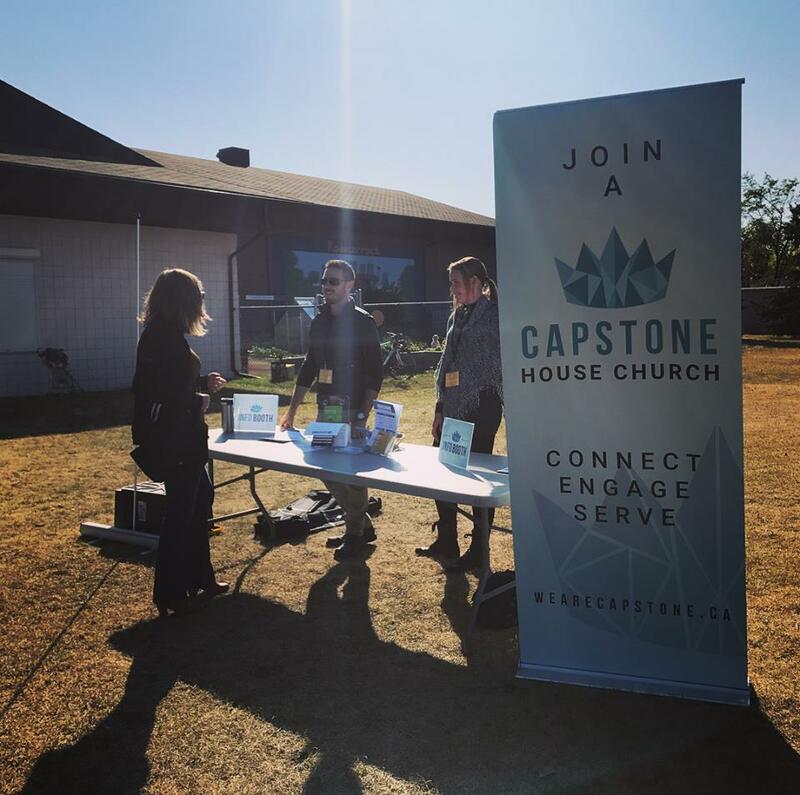 Fall 2017 outdoor service at Capstone. This was a key question that Kyle Harnett from Capstone Church, a New Venture in Calgary, AB, posed during a Holy Spirit Encounter Retreat for C&MA international workers in the Silk Road region this past November. If we answer "Yes" to this question, how seriously do we take our own need to live out Christian lives in the same way that Jesus did: fully dependent on and full of the Spirit? For all of us present at this retreat, the four days were a fresh challenge to make more of Jesus' promise of the Holy Spirit. "How do we contend with what Jesus means when He says: Very truly I tell you, whoever believes in me will do the works I have been doing; they will do even greater things than these, because I am going to the Father (John 14:12)?" Here "greater than these" doesn't mean "better than these" but rather wider, more far reaching, a collectively greater witness to the glory of God - because Jesus knew that His same Spirit would be imparted to every Christ follower who would come after Him. Do we have the courage to believe that God still desires to move among us with breakthroughs of salvation, forgiveness, repentance, healing, restoration and new life, just like He did through Jesus' Spirit filled life? And do we have the fortitude to press in to God's desire with fresh faith and hunger for more of His Spirit’s filling to help further His kingdom's coming in our communities? In an earlier post we shared a glimpse of Capstone Church's desire to pursue the fullness of life in the Spirit and Kyle’s personal journey to lead with this mandate. One year later, this New Venture continues to grow out of the foundational belief that Jesus ministered out of the Spirit’s power, and so should they regularly press in to ask for His filling, and expect to minister with His power. Just two weeks ago, a man in our church who was 'born an atheist' came to faith in Christ. He had made a decision about two months previous to start 'trusting in Jesus' but he would clearly state that he wasn't a Christian and that he wasn't following Jesus. After attending church for a few weeks, hearing the gospel from many in the church, and studying the book of John with someone from our church, he decided that he was ready to follow Jesus, trusting Him not only for salvation but also to lead his life. He was baptized and invited his whole family to church and now is working to see them come to faith in Christ! On that same Sunday, we gave an opportunity for anyone who had trusted in Christ but hadn't been baptized to come forward spontaneously. A man came forward trembling under the power of the Spirit and was baptized -- it was a great day in the Kingdom! Please pray for Kyle and Lauren & the leadership and ministry teams at Capstone, that God would sustain their faith, energy and vision and give them wisdom to keep in step with the Spirit in this new year! You can learn more about supporting Capstone Church on their profile page, or visit their Facebook page for photo updates.